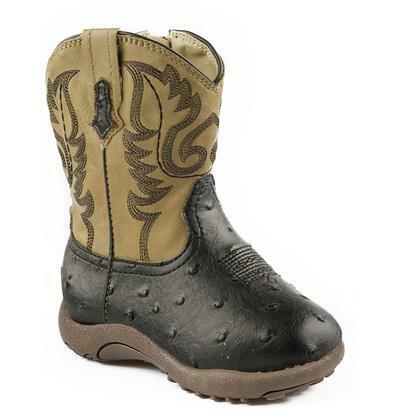 Every little girl needs a pair of cowboy boots, and this is the perfect first pair for her to have. 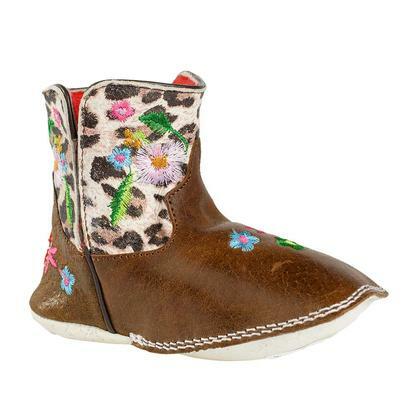 These Leopard Baby Bean Booties are done in soft supple leather and with a leopard shaft, brown vamp, and embroidered flowers. 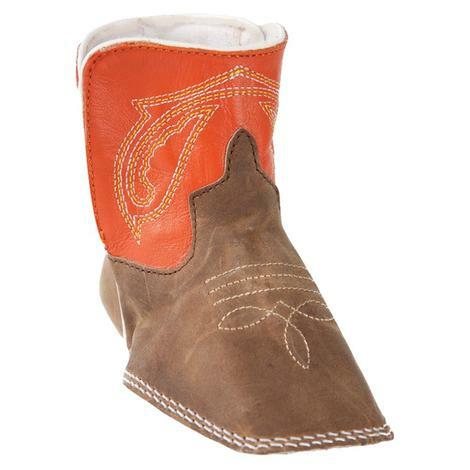 They are great for the newborn cowgirl in your life. 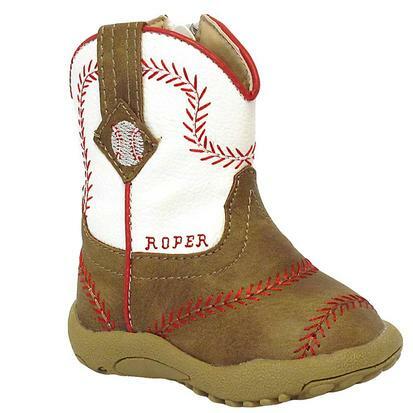 This youth boot by Roper has a white top with baseball stitching throughout and a tan vamp with a square toe. 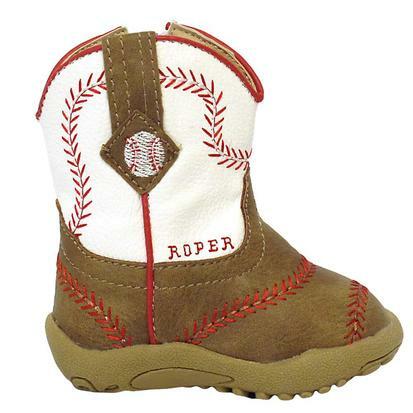 This boot is perfect for your little slugger. 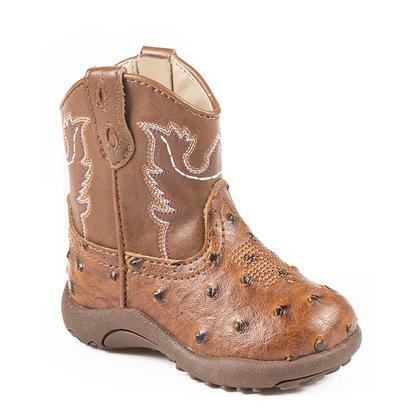 What better way to protect tiny feet than in a pair of Baby Beans by Anderson Bean that are made of soft supple goat leather. 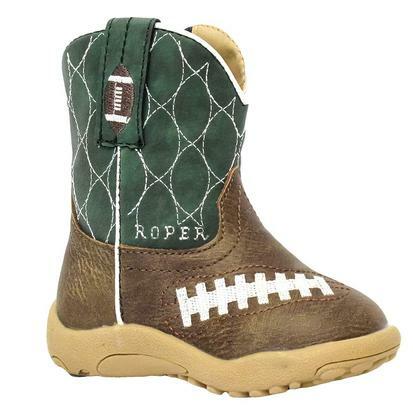 Each boot is double stitched at the toe and top stitched in white. Throw a pair of these Beans on your kiddo and keep happy little feet. 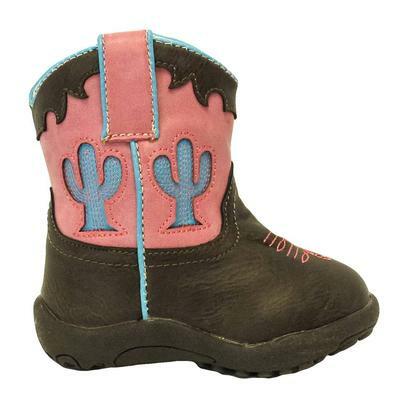 These western toddler boots by Roper have a 3 1/2 inch pink and turquoise shaft and cactus underlay on the shaft with a brown leather vamp. 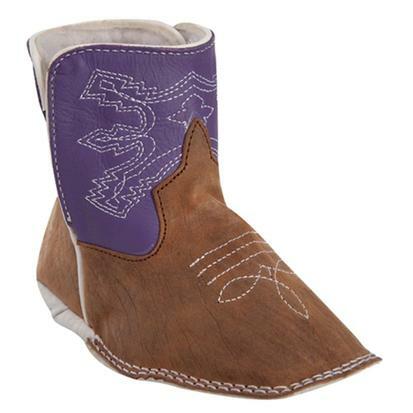 Anderson Bean Purple Baby Beans Square Toe Boots are here at South Texas Tack for your little one to get their feet ready in Anderson Bean style. 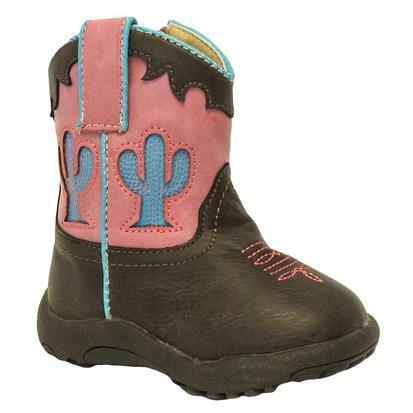 These cute little booties feature a brown vamp and pink shaft with turquoise cactus inlays. 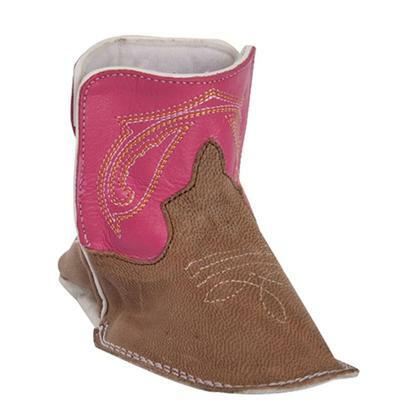 These boots have an inside zipper for easy on and off, and a padded insole and rubber outsole to ensure her comfort. 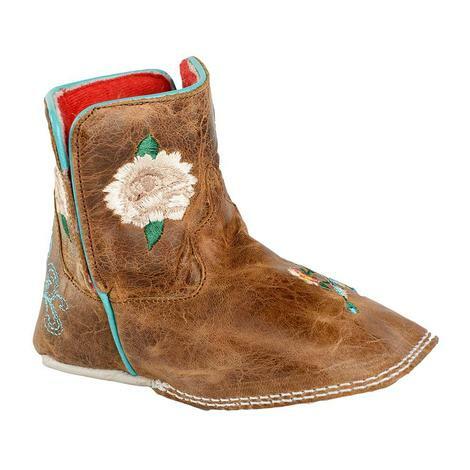 This cute little bootie features a tan faux ostritch vamp with western stitching on a tan shaft. 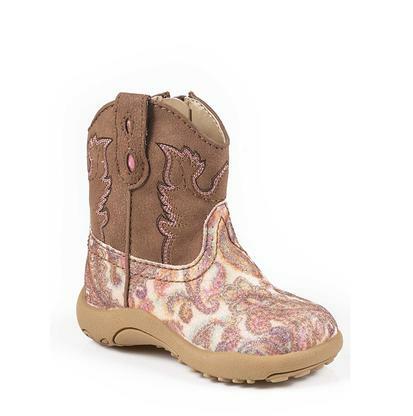 This Roper boot features a pink and brown paisley glitter vamp with cowbabies faux leather, padded insole for added comfort, inside zipper for easy on off fit, and western stitch design on shaft. 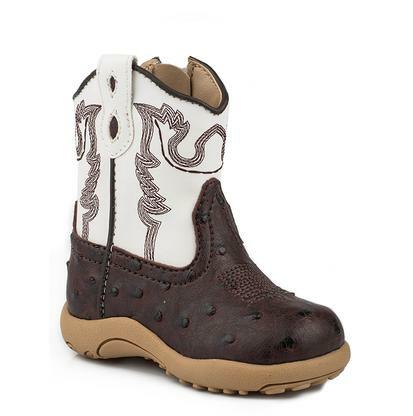 These infant Roper boots are made from faux leather with an ostrich print vamp and western stitching. 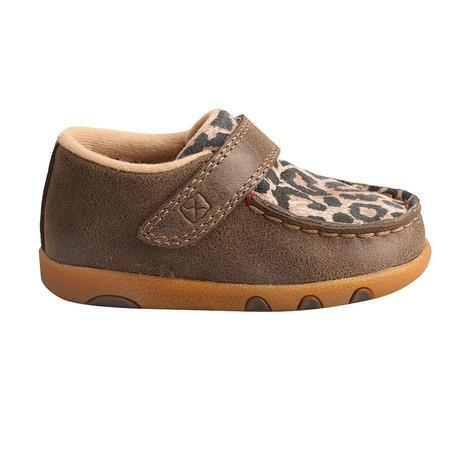 The insole is padded to keep their little feet comforable all day. 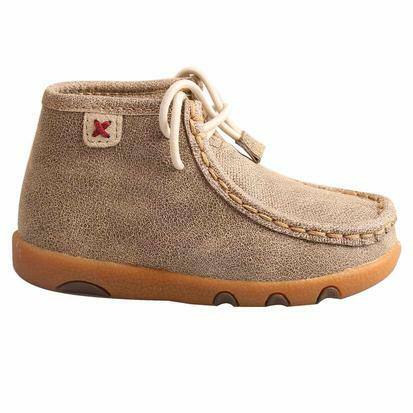 These infant driving mocs by Twisted X have a bomber leather upper and features hook and loop closures that ensure easy on/off. The rubber outsoles provide slip resistance for those shaky first steps! These tiny Twisted X moca are adorable! 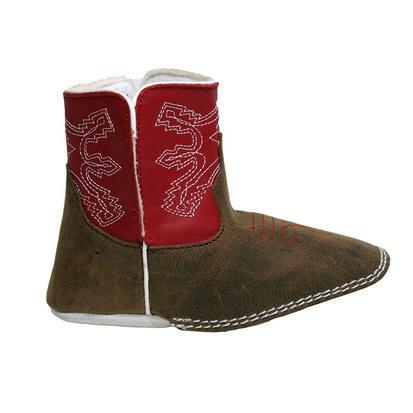 The hook and loop closures provide easy on and off while the rubber outsole is slip resistant. 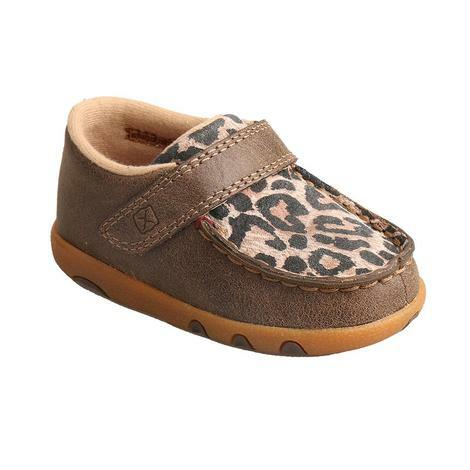 Macie Bean Brown Floral Baby Bean Boots are moccasin brown soft comfy leather for little feet and hand stitched embroidery with tiny flowers and garden delights. 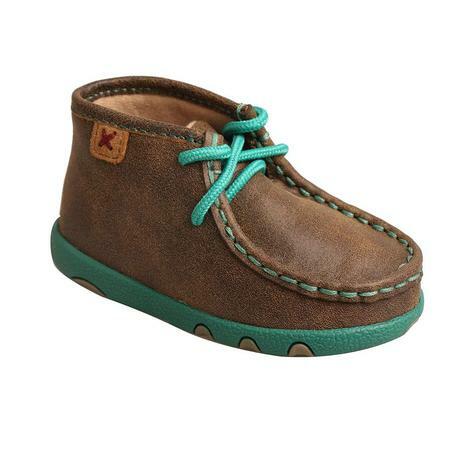 Turquoise highlights the seams and little personalities. 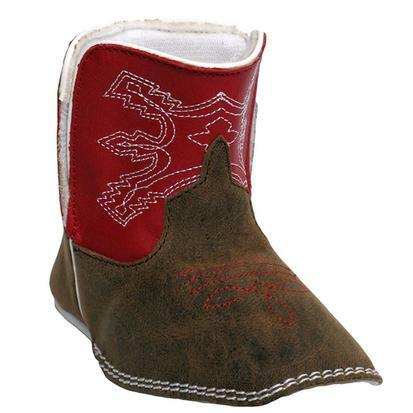 Anderson Bean Red Baby Beans Square Toe Boots are cute, red, and an ultimate necessity for your little bundle. 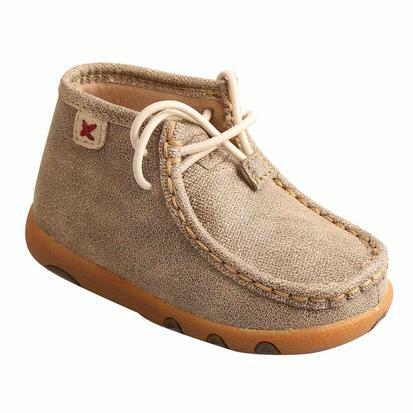 Soft and flexible, they are what you need to keep the delicate little feet covered and the end all cuteness to see on! 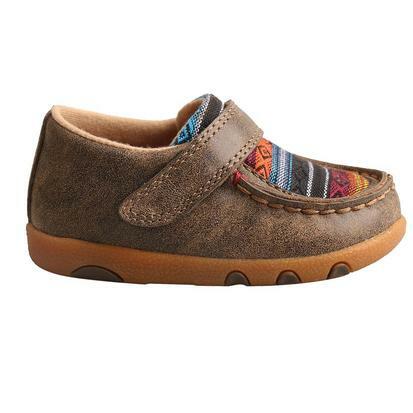 Your baby is going to absolutely love these bomber mocs by Twisted X. The mocs are easy to slip on, soft, and have a genuine super slab rubber outsole. 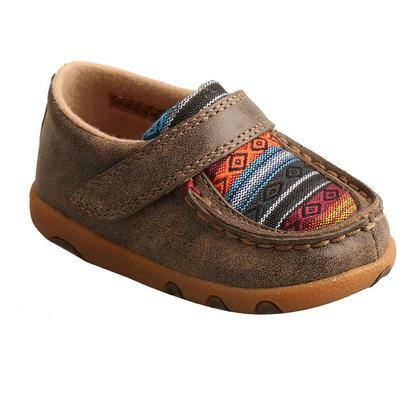 These Twisted X serape mocs are perfect for your little bundle of joy. 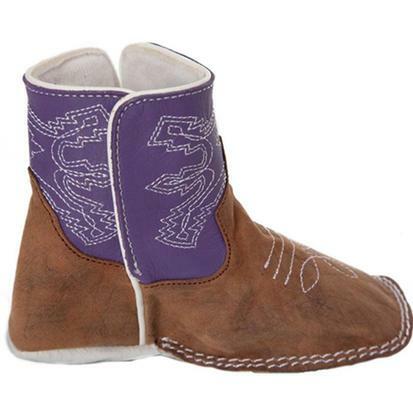 The brown bomber leather pairs well with the multi-color serape foot. Sits on top of a genuine super slab rubber outsole. 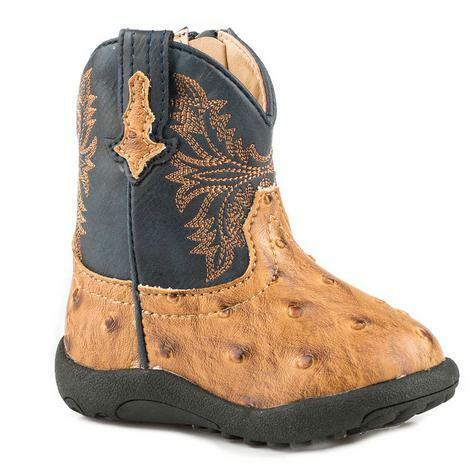 Roper Infant's Faux Ostrich Cowboy Boots are sweet little booties that reflect the Roper goods when it comes to awesome kidwear. 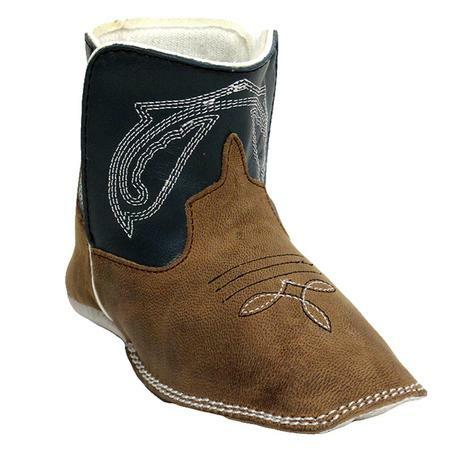 Great brown and white colors with western stitch and built in zipper. 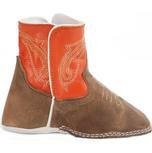 Roper Infant's Tan and Black Cowboy Boot are meat and potato booties for little babies and they are extremely cute. 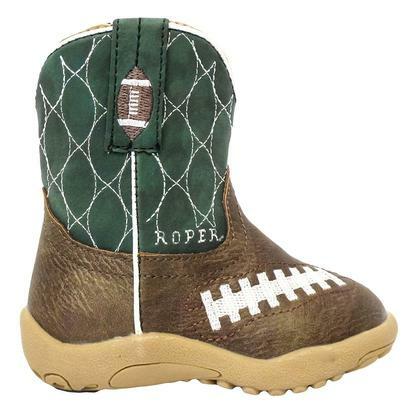 Roper makes an adorable black and tan boot that has every little cowboy's size.